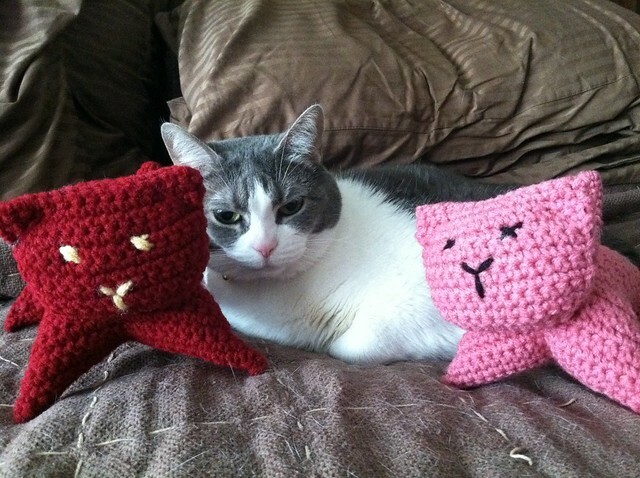 When I first started crocheting I used to see all of the cute animal patterns that people would make. I never thought that I would be able to make any of them. They all looked so hard! I never thought that my crochet skills would get to that level. This quickly became one of my favorite patterns. I've made quite a few of these. 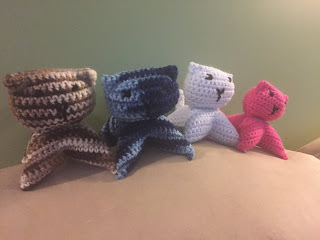 Here are a few of my creations from the kitty pattern. Some of my other creations with my kitty. Since then I've moved on to many other animals. 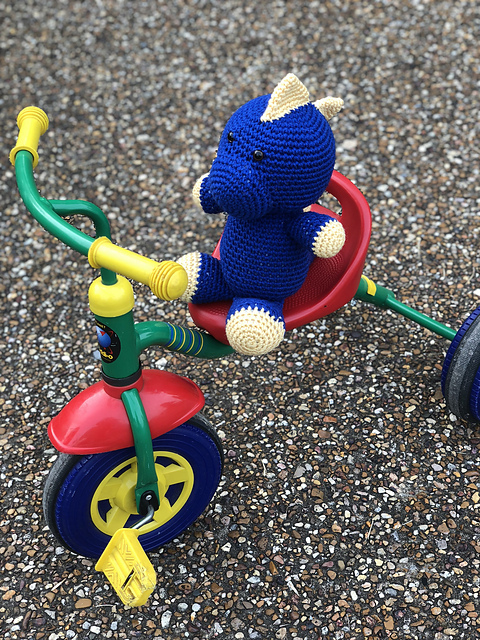 I've made teddy bears, sock monkeys, dinosaurs, unicorns, cows, elephants... this list goes on and on! Here are the patterns and my pictures of my creations. A turtle for my son. Click here for the pattern. 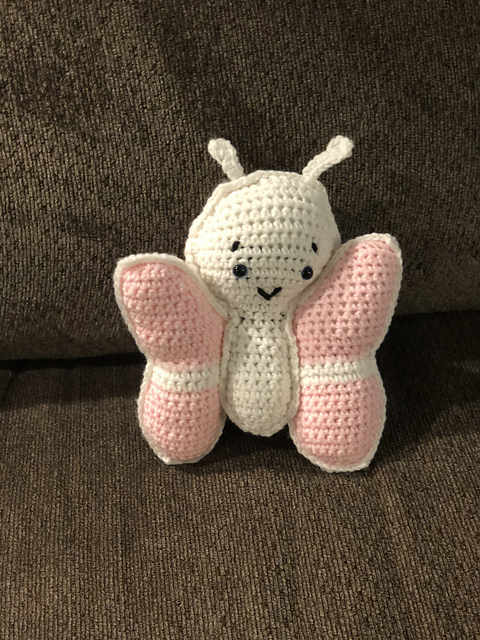 A butterfly for a baby gift. Click here for the pattern. Dinosaur for the kids in my cul de sac. Click here for the pattern. I'm also working on making penguins for my son's class. I combined a few patterns to make this so if you are interested in making one of these let me know! These are just a few of my amigurumi critters. I have come to love making new critters! If you have any questions about any of these patterns, or would like to share something that you've made please comment below!